We are obsessing over all things floral this season and this must-buy corset is at the top of our hit list. 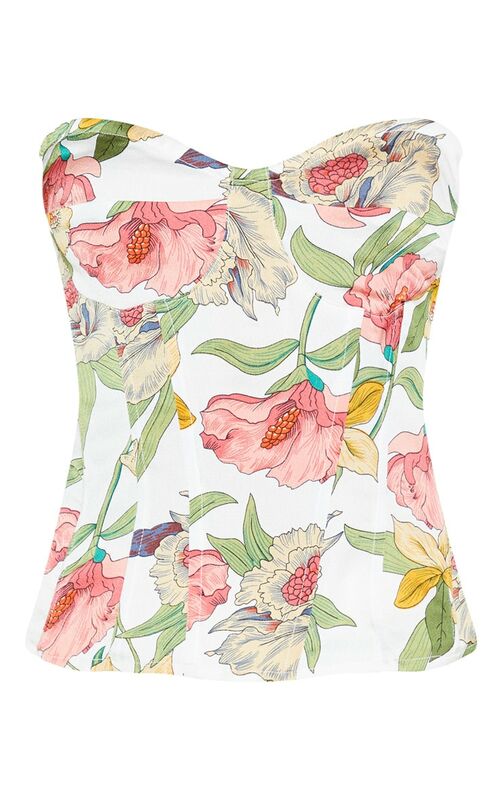 Featuring a white fabric with an all over floral print, bandeau neckline and a cup design. Team with wide leg trousers, a chunky belt and barely there heels for the ultimate going 'out' out look.